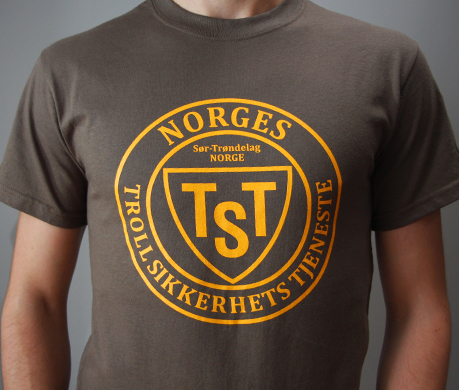 TST Troll Security T-shirt inspired by the fantastic Norwegian film Troll Hunter. A single colour design hand screen printed on a 100% ultra cotton regular fit olive T-shirt. Does not include troll stench.